Besta full line of gear manufacturing services includes internal gears, in addition to our selection of conventional, external gears. 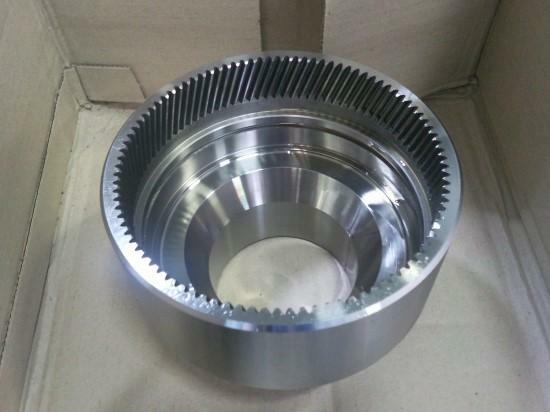 Internal gears, with teeth located on the inside as opposed to the outside of the gear, are used in all industries, such as electronics and chemical applications. We also serve customers in the medical, automotive, biotechnology, and packaging industries. 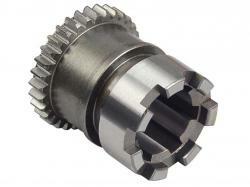 Our internal gears can be produced in diameters up to 700mm, with a maximum module 12. 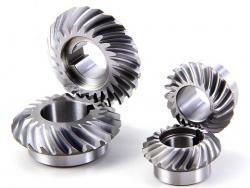 As with our conventional external gears, shaft options include flat or hex shafts, and we use gear cutting methods from broaching to hobbing, depending on design choices and end-user requirements. We can also heat treat internal gears via quenching, carburizing, flame induction, or nitriding. C45,1045,42CrMnTi,20CrMnTi,2HT200,HT250,QT400-18,QT400-15,Acetal/Delrin,Alloy,Aluminum,Brass, Bronze, Carbon Steel, Ductile Iron, Gray Cast Iron, Nylo, Plastic, Phenolic, Polycarbonate, Polyester, Stainless Steel etc.